Occubite Pastry Cafe, another cafe that did not turn out like how I've expected it to be. With a name that reads pastries, I only expected pastries and cakes at their outlet in Quill City Mall. It was a pleasant surprise then, when multiple warm and savoury dishes were served. Check out what we had the other day when we were at Occubite. 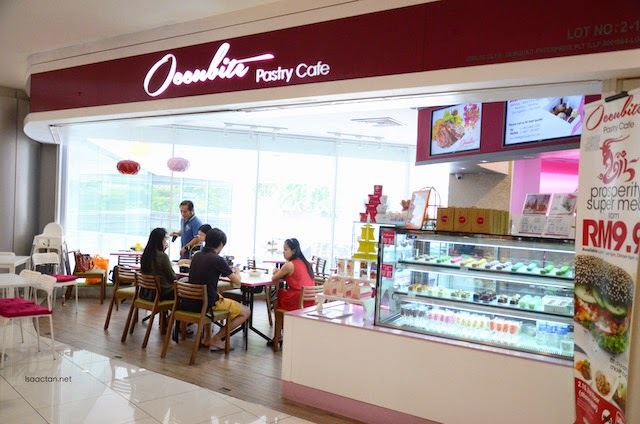 Located strategically inside Quill City Mall with access to Monorail Medan Tuanku station, Occubite Pastry Cafe is a modern and chic cafe with vast amount of natural light that brightens up the whole dining area. 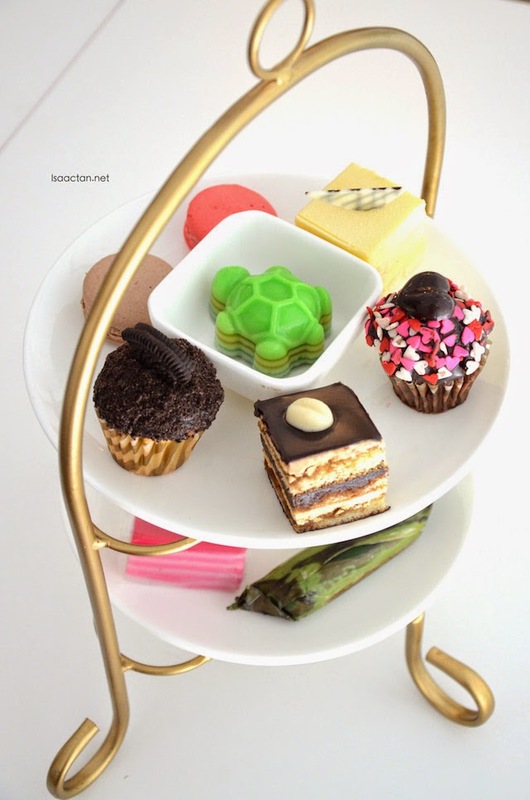 Take a break from shopping, and indulge in some sweet pleasures with Occubite's Afternoon Tea Set. 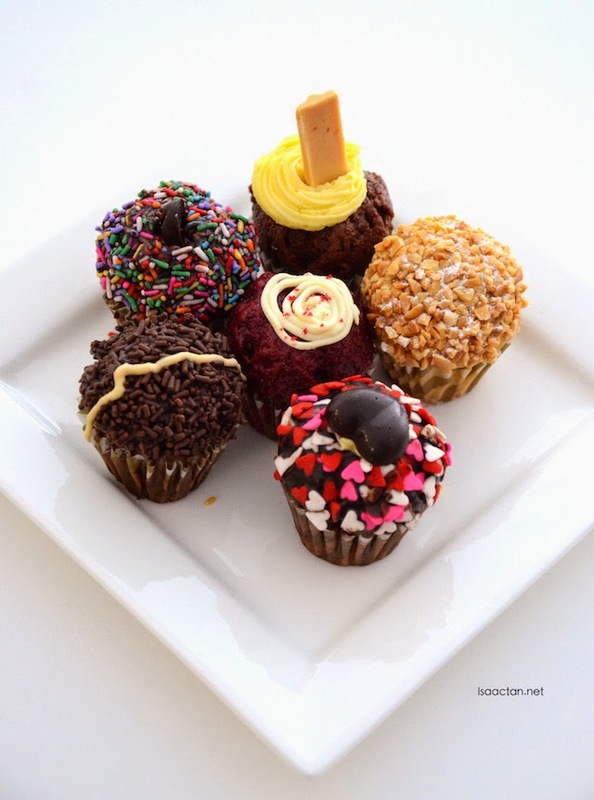 It comes with a variety of sweet noms, including macarons, mini cakes, muffins, Nyonya kuih and puddings. Available in 6 choices, Cakes Madness (RM28), Asian Temptation (RM28), Macarons Surprise (RM32), Cakes Delight (RM32), Crazy 4 Muffins (RM32), XL Happiness (RM56), customers can choose your favorite now to complement your afternoon tea indulgence. They do takeaways as well, where you would be able to take-away these macaron, mini cake, muffin, Nyonya kuih and pudding, which Occubite Pastry Cafe sells in box of 24 pieces, 12 pieces, 6 pieces and per pieces. I was pleasantly surprised to see that their ala-carte menu consisted of real meals that will fill you up, not just inject you with sinful sweet indulgence. 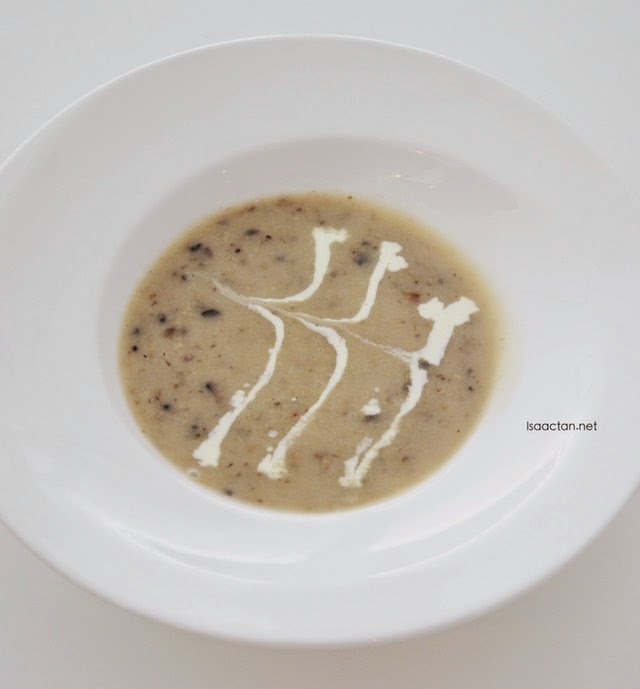 Occubite's Mushroom Soup came in thick and flavourful, with chunky bits of various mushrooms inside. Pretty tasty, and bound to fill you up even before the mains come along. 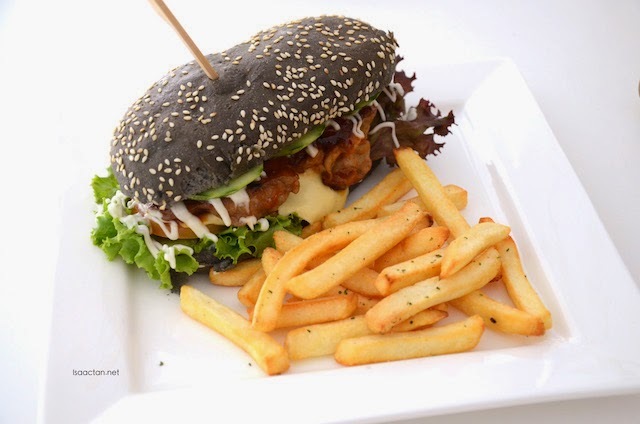 Served in black charcoal buns, the Samurai Burger was served hot and fresh, where you will be able to choose from having either the chicken or fish patty. Choose from a variety of sauces from the Teriyaki, Mushroom Sauce, Black Pepper, White Sauce or Butter Milk sauce for that added flavour. Pasta delight! We get to mix and match our pasta the way we want it to be. First, pick your pasta base to be either Aglio Olio, Carbonara, Pesto, Hot Peri Aglio Olio or Marinara. 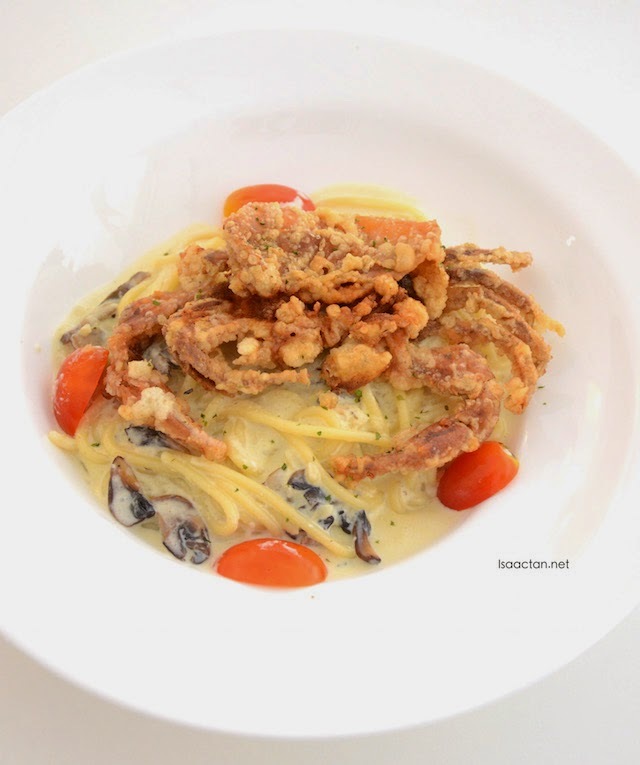 Then, select your favorite ingredient to be cooked together with the pasta, which Occubite Pastry offers quite a lot of choices, including Mushroom, Smoked Duck, Mussels, Fire Galore Wing, Grilled Chicken, Beef Bacon, Soft Shell Crab and Seafood. We had the Hot Peri Aglio Olio with Smoked Duck and the Carbonara with Soft Shell Crab, both which contained my favourite ingredients. The portions were pretty large too, enough to feed two small appetite ladies. A best seller at Occubite Pastry Cafe would be their Grilled Chicken dish. 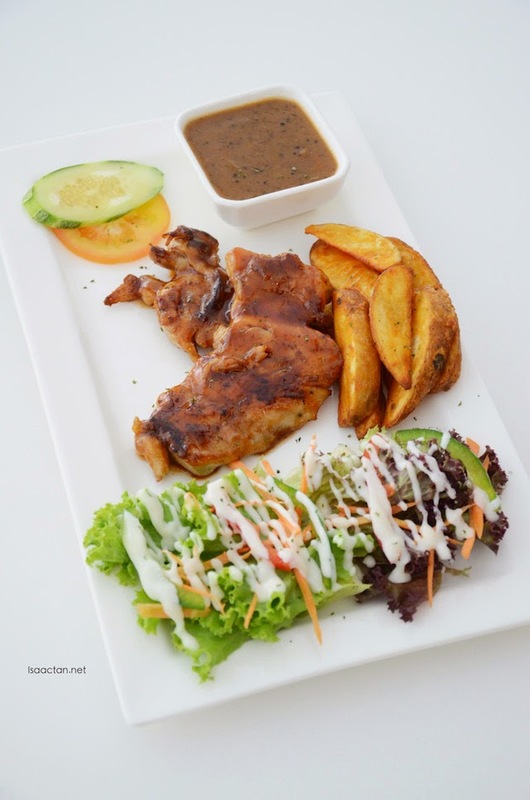 Tender pieces of chicken thigh grilled to perfection and served with salad, fried wedges, and your choice of black pepper, mushroom or sesame sauce. 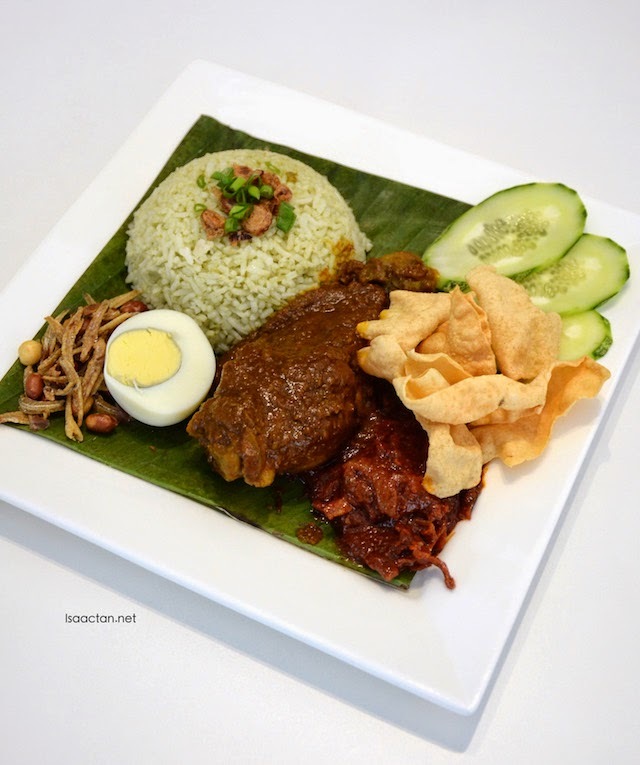 Not sure whether pastries goes well with our Malaysian Nasi Lemak, but hey, it's always good to have some local cuisine on our table. The rice itself had a green hue due to it being cooked with pandan leaves for that added flavour. Customers can choose to have it with Rendang Chicken (RM17.90) or Curry Mutton (RM18.90) to create the perfect combination for a satisfying meal. 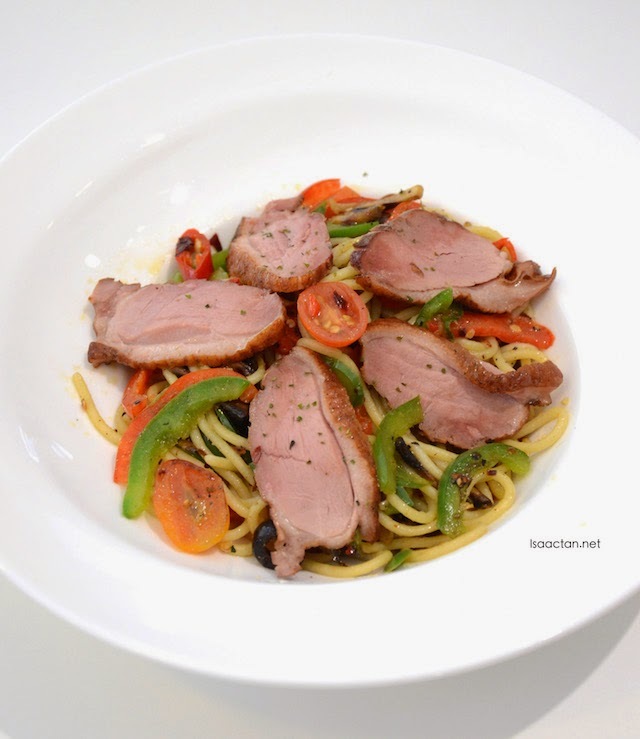 I've been told that the Chef had prepared all the food at Occubite Pastry Cafe using 100% halal certified ingredients, no MSG and air-fried the food to ensure less fat less oil for the health-concern foodies. Do check them out the next time you're out shopping at Quill City Mall, Kuala Lumpur.